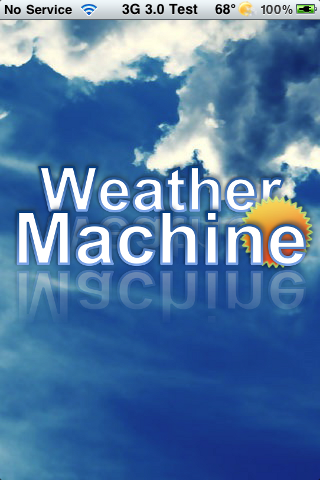 Weather Machine is a very detailed and information loaded weather application. Honestly, this app might have too many features…if that is possible! I’m going to explain a few features of the app and then I will let you watch the demo video so that you can get the full feel of the app. When the app opens, it will ask to find your current location. After it did this the first time, I actually shut this feature off in the Settings so that it didn’t ask every time I open the app…it is slow and it is not extrememly accurate.